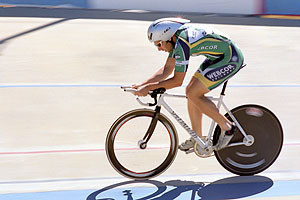 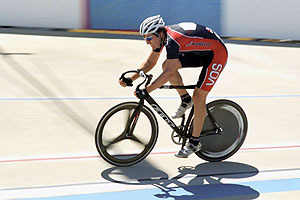 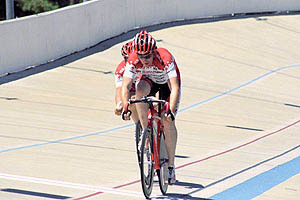 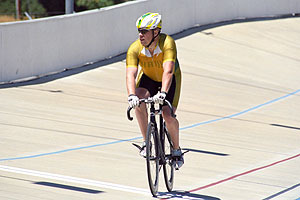 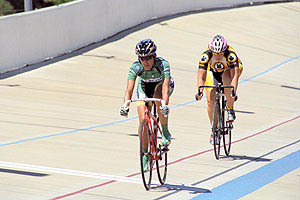 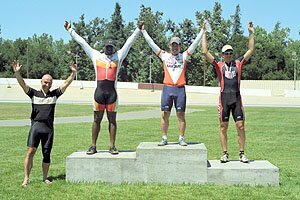 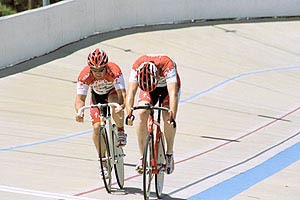 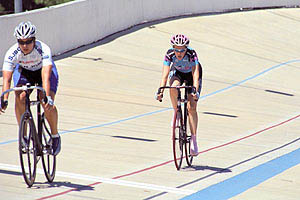 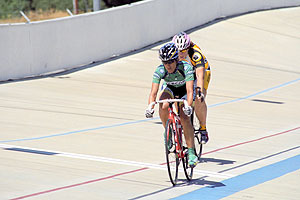 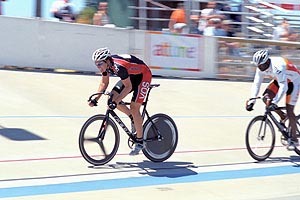 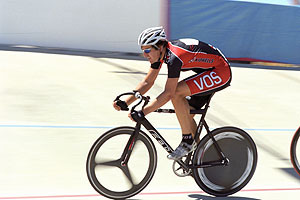 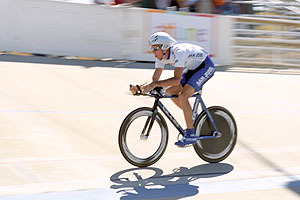 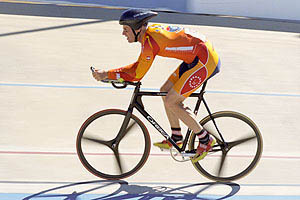 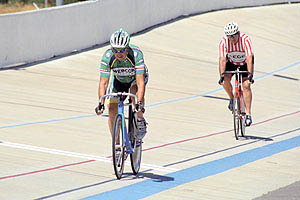 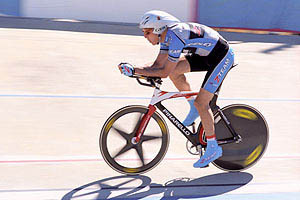 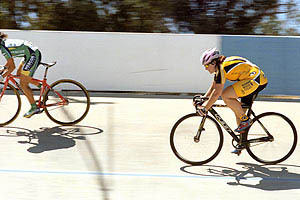 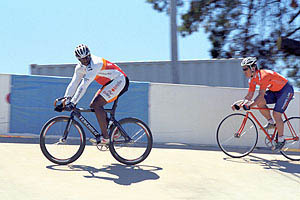 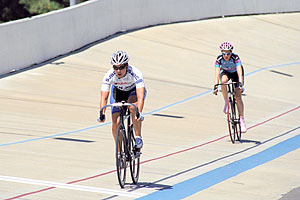 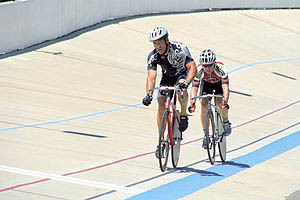 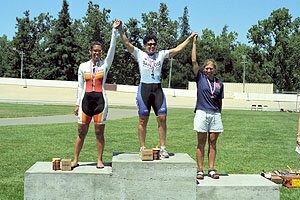 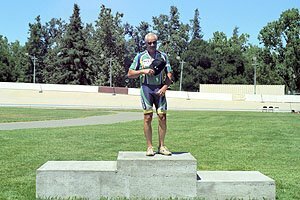 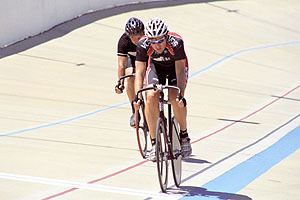 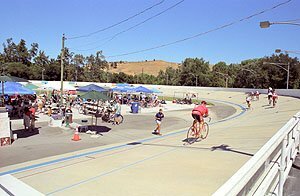 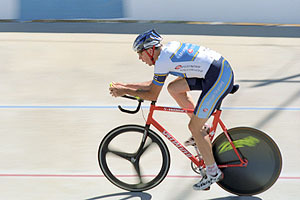 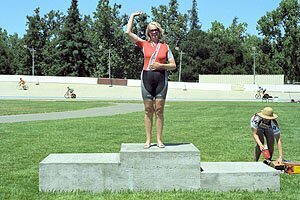 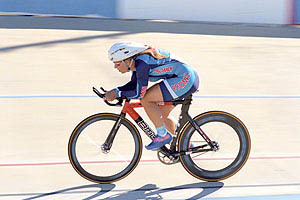 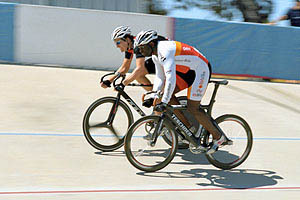 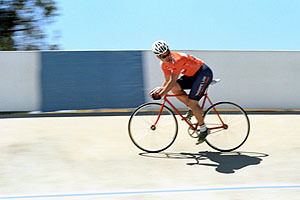 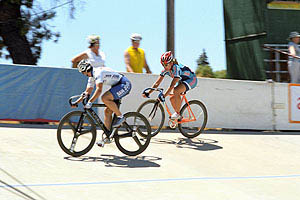 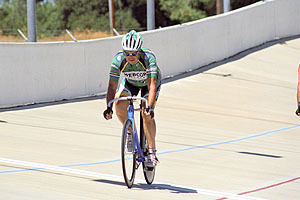 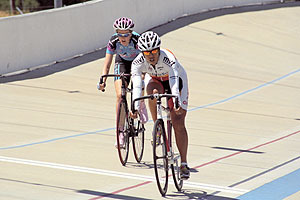 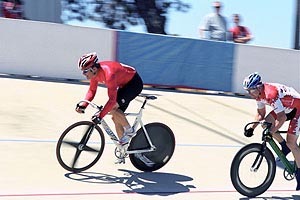 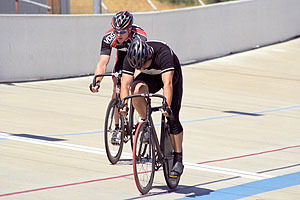 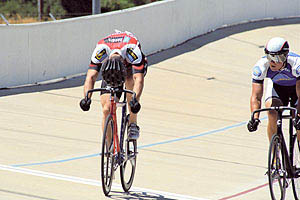 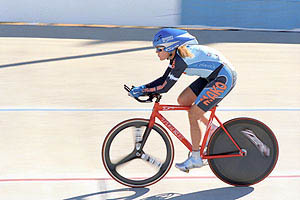 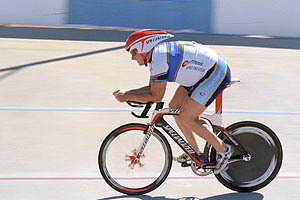 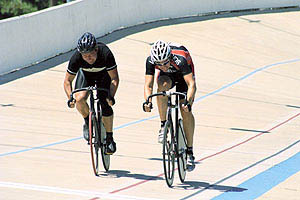 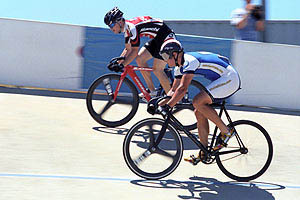 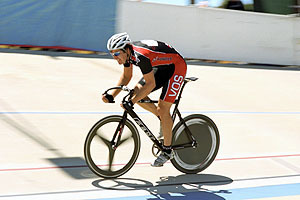 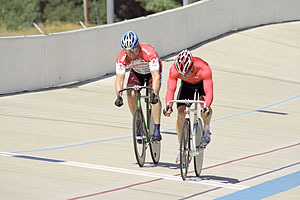 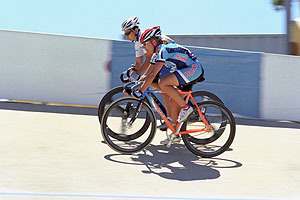 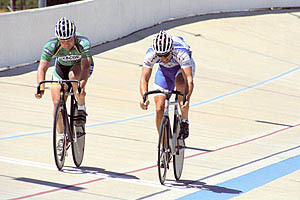 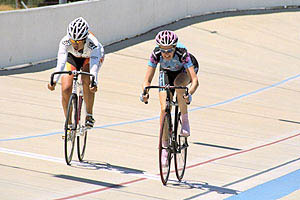 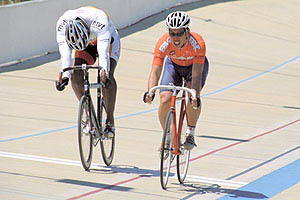 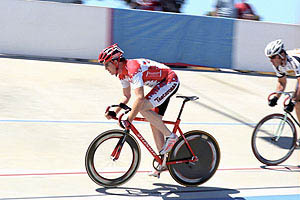 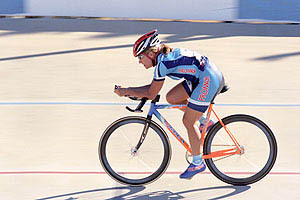 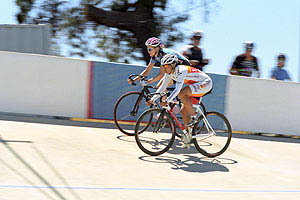 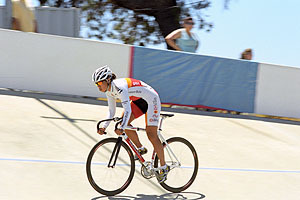 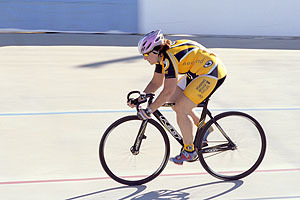 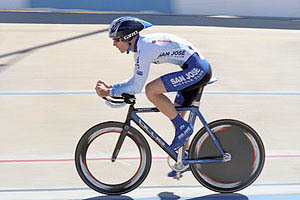 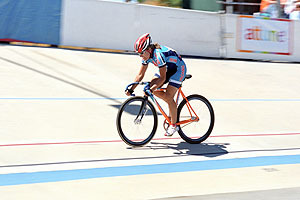 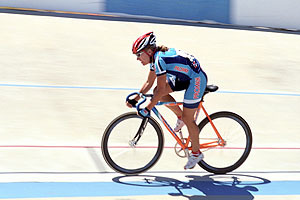 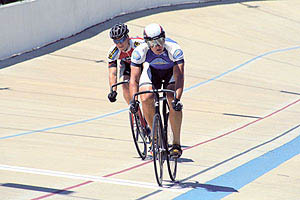 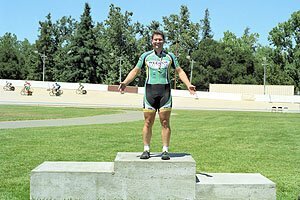 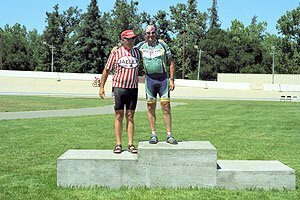 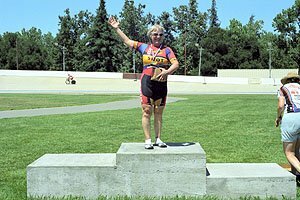 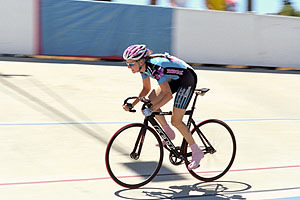 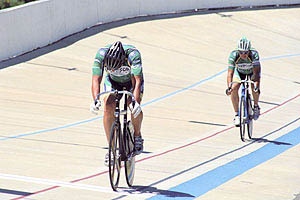 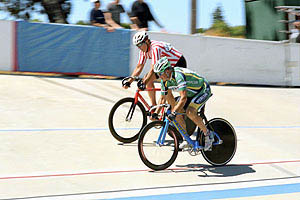 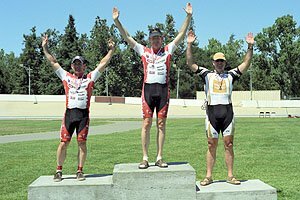 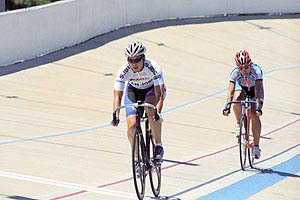 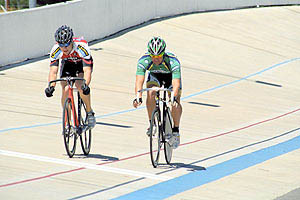 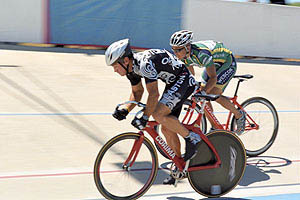 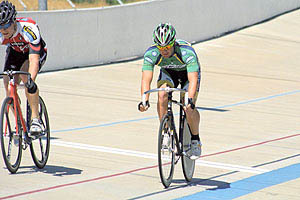 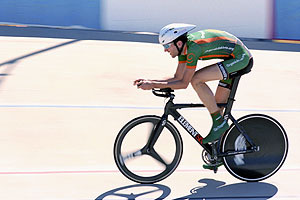 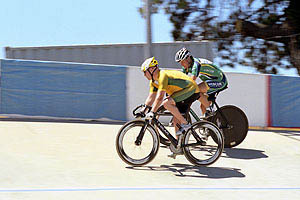 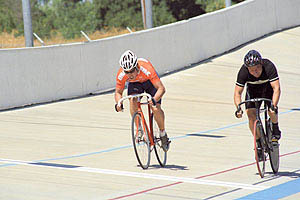 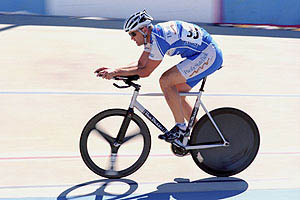 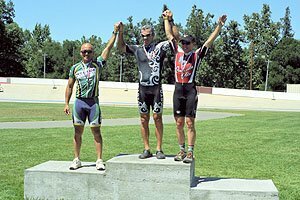 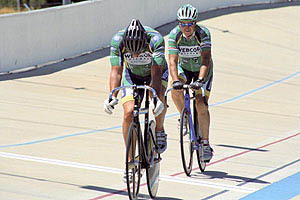 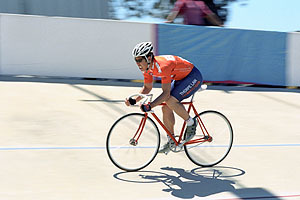 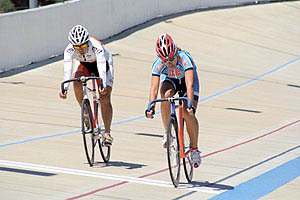 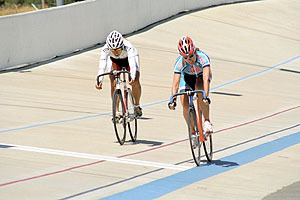 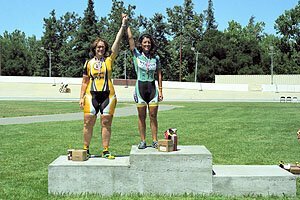 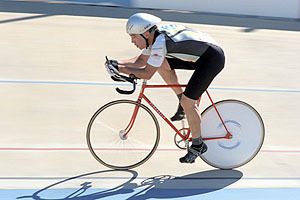 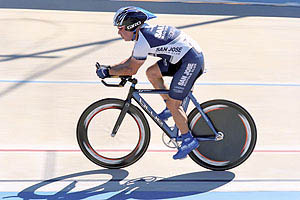 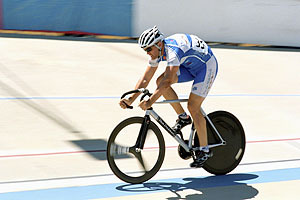 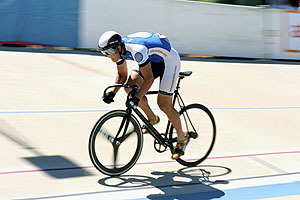 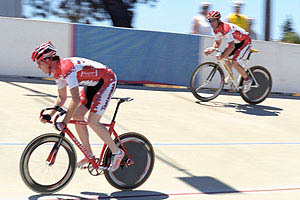 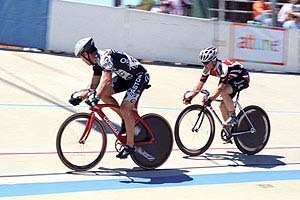 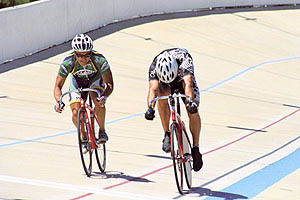 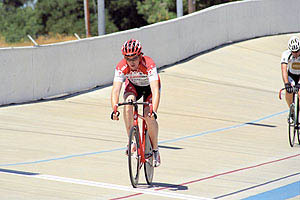 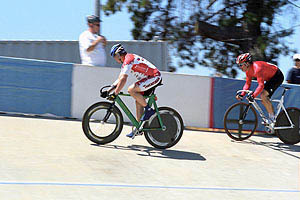 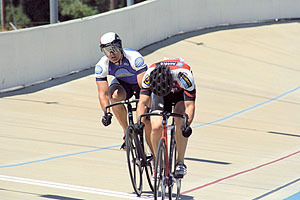 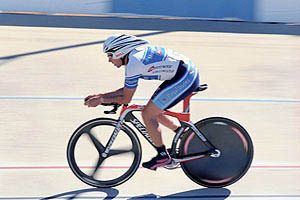 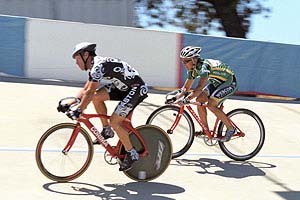 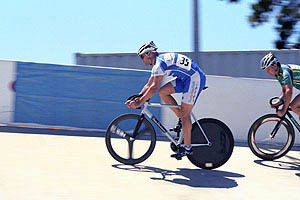 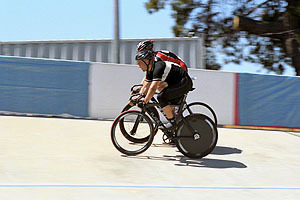 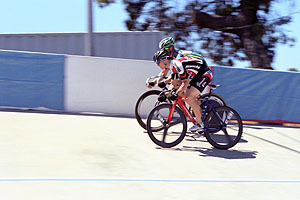 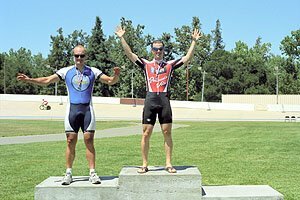 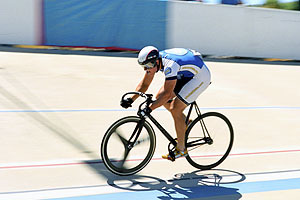 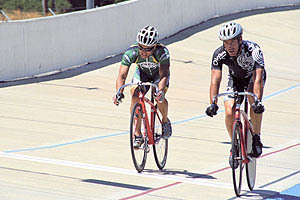 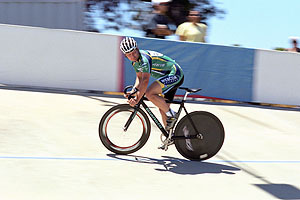 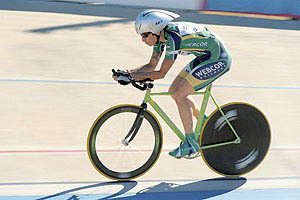 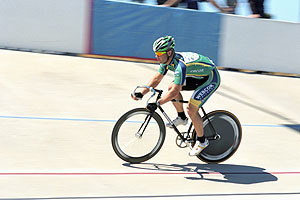 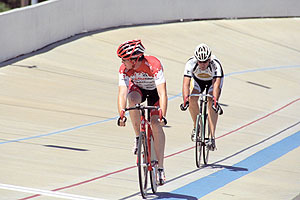 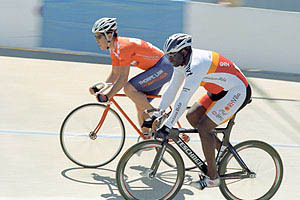 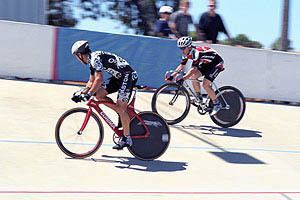 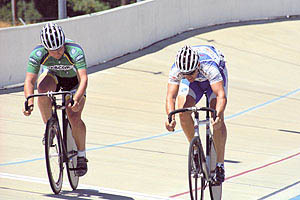 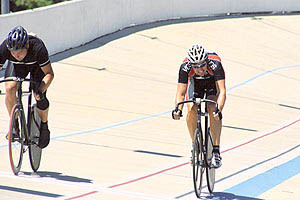 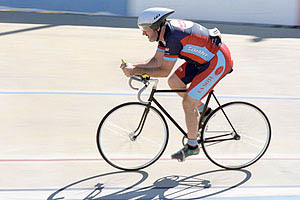 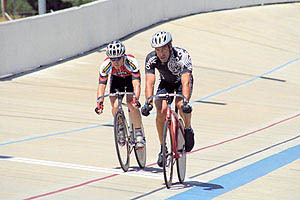 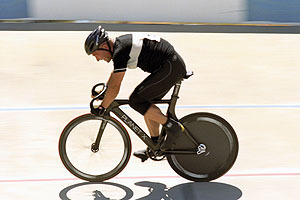 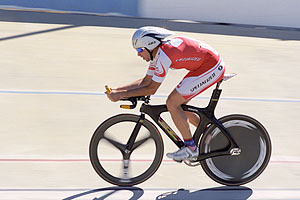 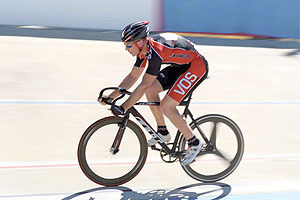 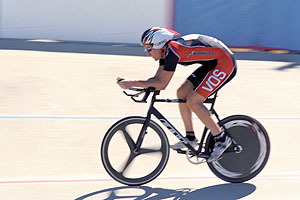 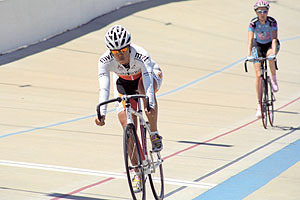 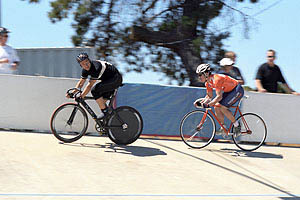 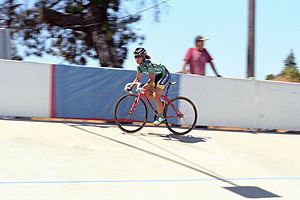 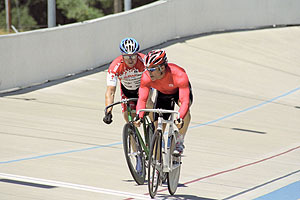 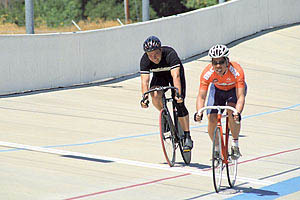 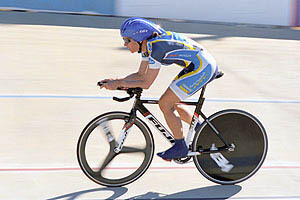 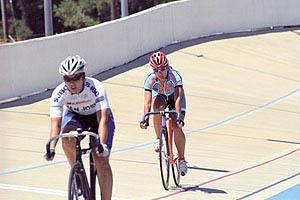 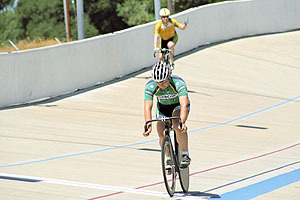 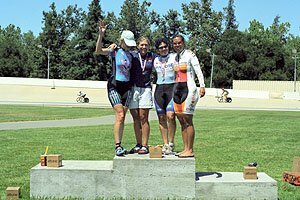 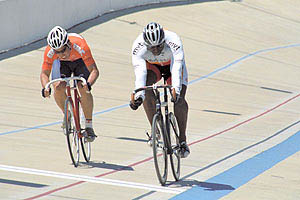 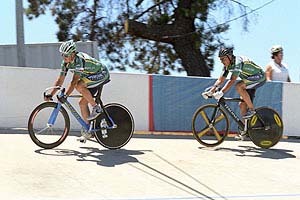 These are photographs from the 2008 Northern California Nevada Cycling Association Masters Track Championships held at the Hellyer Park Velodrome on August 2, 2008, in San Jose, California. 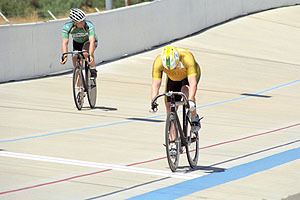 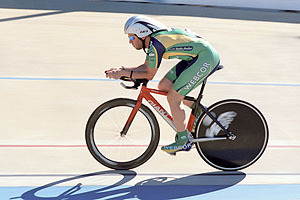 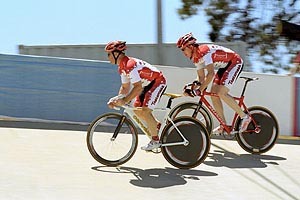 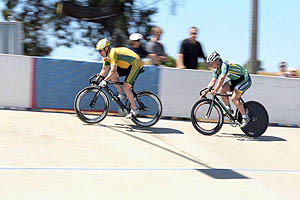 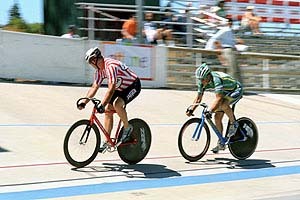 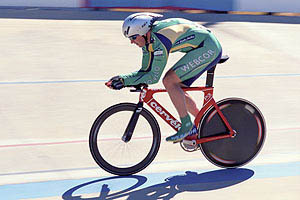 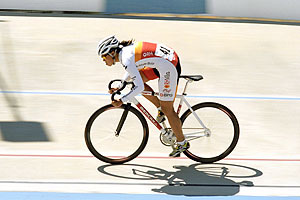 They cover the Sprint races, the 3KM Male Persuit and the 2KM Female Pursuit. 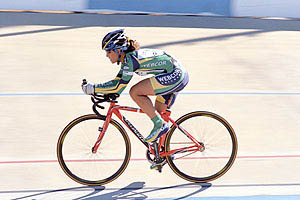 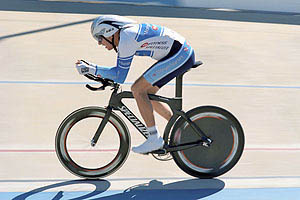 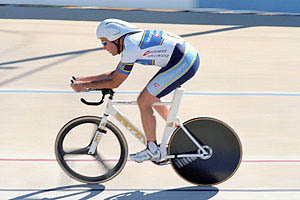 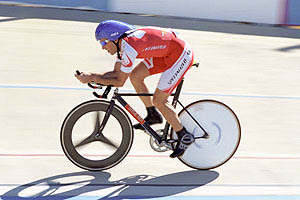 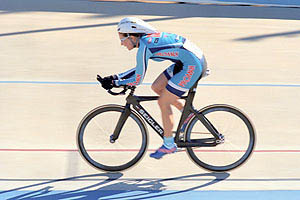 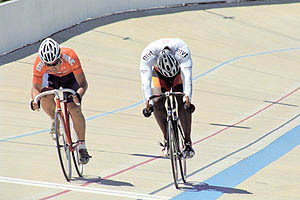 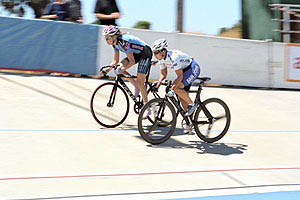 There are also photos of the Sprint winners. 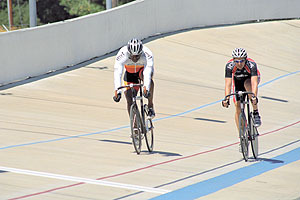 Due to the nature of the event and my status as a freelance photographer I was unable to identify any of the racers.